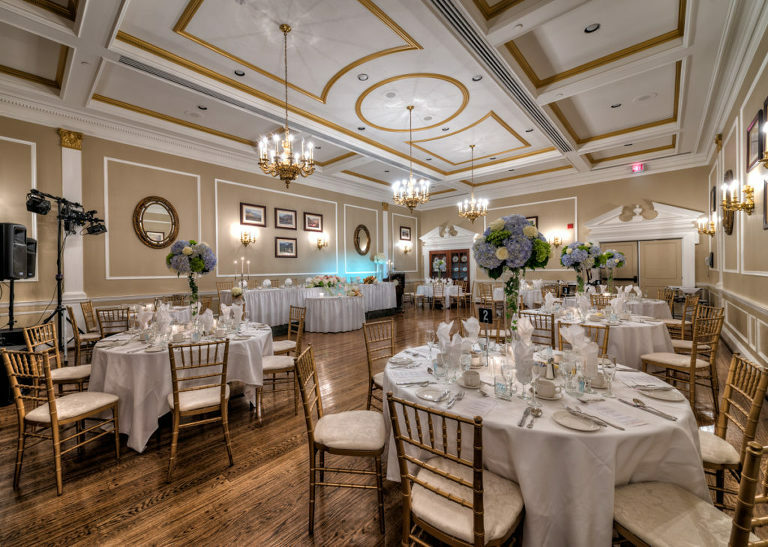 The reception needs to be carefully choreographed and decorated specifically for the camera in order to obtain great images. Most brides and even most wedding coordinators have no idea about how to decorate for the photographer’s camera, instead arranging the room to be visually appealing to their eyes with no consideration for how it will look in pictures. A dark environment and completely black background is unappealing for dancing photos and will create a difficult exposure for which the photographer will have to constantly compensate. A little bit of light in the background can make a huge difference in achieving and bringing a sense of depth to your dancing photos. Christmas lights, hanging bulbs, and rope lights all look good in the background of the reception. If the reception is located outdoors, placing your dancing floor under a tent will make a world of difference because photographers can bounce their flash up into the tent roof, making for a softer presentation and better fill flash. A tent also provides a physical structure upon which to hang a large amount of small lights that create a warm, glowing background. Trees are also great for hanging lights and small jars with candles inside. Tiki torches provide great light and ambiance at the same time. Take a few minutes to play with your crowd. This gives the photographer more opportunities and time to get a shot of you holding the flowers and looking back over your shoulder at the throngs of people getting lined up. Before you throw, it is a good idea to round up all the little kids away from the crowd, as they tend to be very quick and they will almost always beat your bridesmaids and friends to the flowers. It also a good idea to look up and make sure that there are not any low obstructions such as lights and ceiling fans that will obstruct the trajectory of the bouquet and intercept your flowers before they reach the crowd. 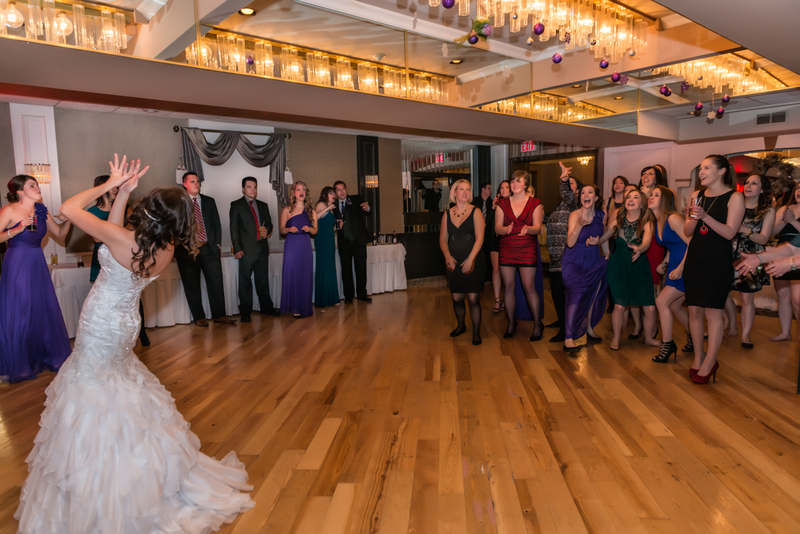 When you throw the garter or flowers, be prepared to call for a do-over if it doesn’t go as planned and try it again. During the formal dances such as the first dance or the father-daughter dance, you should try to ignore the photographer completely. However, later in the evening when the photographer comes around to shoot some fun and spontaneous dancing shots, it would be wonderful if you and your wedding party would occasionally turn and dance facing towards us. Otherwise, we get a lot of dancing pictures with your backside showing. You don’t have to do this all evening long, but once in a while, if you just turn and show off for the camera a little, the resulting pictures turn out to be really good.